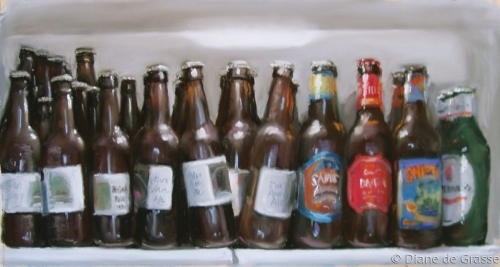 Home brews and commercial beers lined up for a party, in soft pastel on Art Spectrum paper. 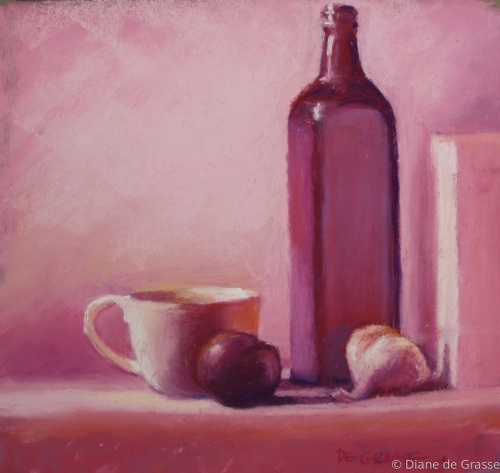 Basic still life elements in rich cerise palette of soft pastel on Pastelmat surface. 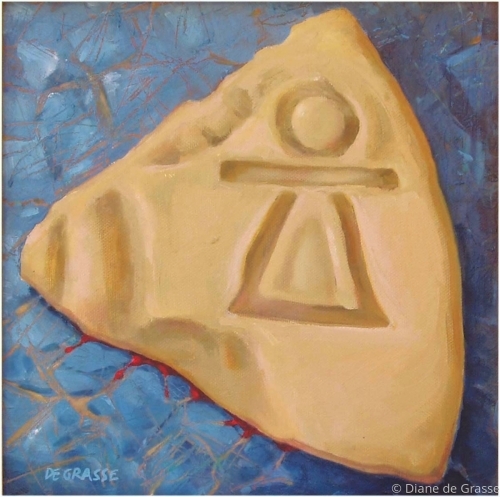 From Tunisia, household Goddess and protectress Tanit graced ancient doorsteps. In oil on canvas. 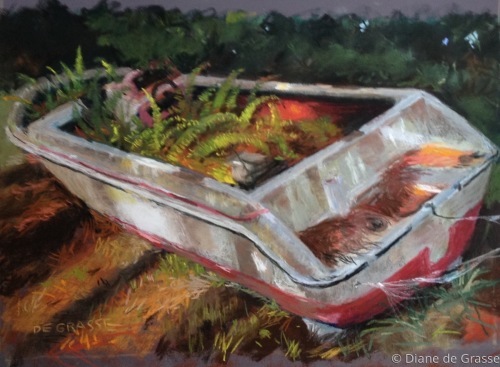 Spotted beside the Legacy Trail which runs from Sarasota to Venice, FL, this abandoned watercraft painted in soft pastel took 3rd Place In Venice Art Center's "Unusual Things in Ordinary Places". While looking for a doll for my grandchild, I discovered this scene at a thrift store. It shocked my social conscience about how real women can be discarded.